Do you want to make a difference to the lives of people with a disability? 1.Information Work – researching and providing information on a range of disability related and every day issues to people with a disability, their families, carers and health professionals. Using a number of information resources including databases, leaflets and the internet. 2.Disability Equality and Awareness Trainers – taking part in the delivery of training courses aiming to increase awareness of disability and what this means for individuals. 3. Fundraising and Awareness – helping to raise awareness of the work of MKCIL and participation in the planning and delivery of fundraising events. 4.Trustee – Be part of strategic planning for the organisation. 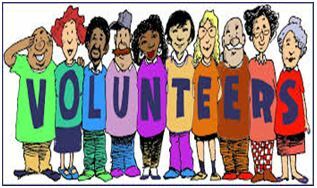 Hours are varied depending on the type of volunteering you would like to do but we are very flexible and will work with you to find days and times to suit you. Training and support is provided and in on-going. Please contact us for an application form and dates of our next volunteer assessments.